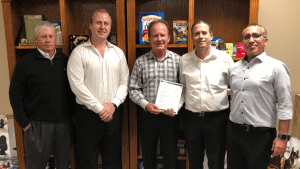 Yavne, Israel, January 21, 2019; Highcon Systems Ltd. announced today the purchase of a Highcon Beam digital cutting and creasing machine by Virtual Packaging in Texas. 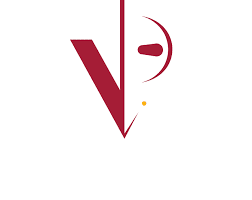 Since 1996 Virtual Packaging has been providing shelf appeal consulting and packaging prototypes to a wide range of US and International based clients. The company prides itself on first class customer service and competitive prices. With a speed of up to 5,000 sheets per hour, the Highcon Beam digital cutting and creasing solution brings digital finishing revolution to mainstream production. It was developed as a robust solution to the challenges facing folding carton converters and print service providers. The Highcon Beam replaces the expensive and slow conventional die-making and setup process with a digital technology that delivers fast speed to market, design flexibility and the ability to perform a wide range of applications in-house. Virtual Packaging is a Grapevine, Texas based prototype packaging business. Our company produces bags, pouches, shrink sleeves, labels, folding cartons, and corrugated boxes in limited quantities with industry leading turn-around times. The packages assist consumer packaged goods manufactures in their efforts to bring new products to market. The packages, also, assist retailers with their merchandising efforts. Virtual Packaging works with businesses – from start-ups to many Fortune 500 companies – in almost every consumer packaged goods industry. Our services provide assistance to businesses throughout the United States and in several countries across the globe. Copyright 2019 — All brand names and trademarks are the property of their respective owners and may or may not be registered.